We heal in community. We are social beings. We don’t heal when we feel isolated, but when we feel connected and held. I know this from the inside out from my own healing journey from CFS (Chronic Fatigue Syndrome) and trauma, and from the journey’s I have witnessed in others. We are social animals and benefit greatly from having external support systems in place in order to thrive. This blog covers the power of community, relationships and being surrounded by loving support, in order to enhance your healing path. In relationship we heal, with perhaps a coach, a therapist, a healer, or feeling held in a circle of support, like a women’s circle. Or simply by having friends that we have deep and soulful relationships with. An important aspect of the recovery journey is often to be able to ask for help, to develop the confidence to expand your social network and make contact with people. To be able to let love in, as well as give it out. I remember a friend of mine assertively telling me I needed to learn to ask for help and be open to receive it. She told me that it was actually a gift to her, that she longed to be able to help me. Having this kind of support around me, even when it was painful at times to be authentically challenged, was also helpful in realising some core patterns I had that I needed to change. With this in mind I encourage clients to develop their close relationships, as huge resources while they heal and for the rest of their lives. If they don’t currently have such support in their lives, to go out and find it. It’s difficult of course depending on the severity of the illness, but a sense of isolation or loneliness will only make a condition harder to heal. Get what support and connection you can, even if it’s primarily online initially. In this step I also touch on the value of different supportive relationships, exploring our sexuality, women’s and men’s circles and therapeutic support, as we heal. It’s also about knowing that you are worthy of getting the external support and validation you need. Having a strong community around you will help you navigate all the steps of a health recovery journey. This is one of the primary reasons I co-created The Women’s Wellness Circle, which is an online and in-person space where women can gather. 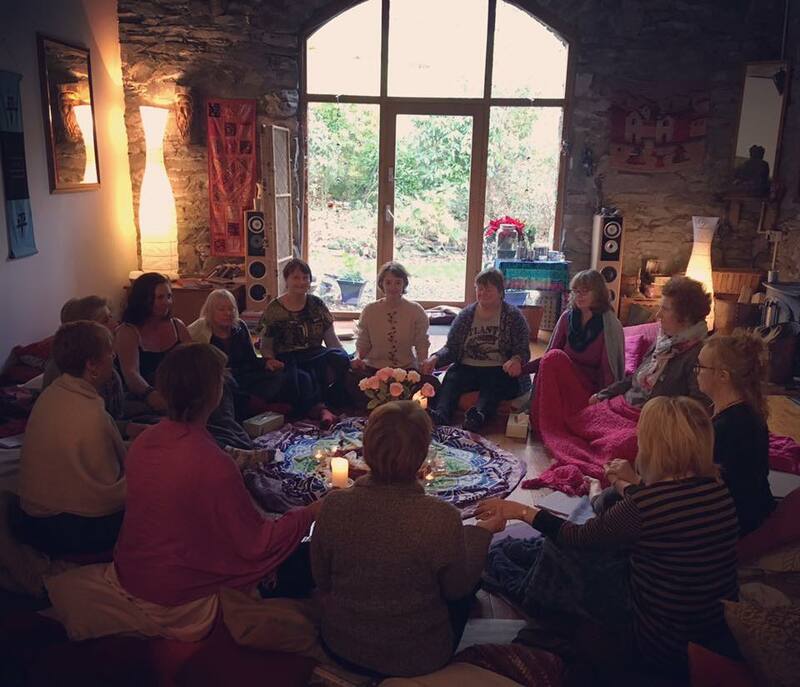 We hold space for women at in-person retreats, and create (as far as possible) this experience in online gatherings. We gather to share tools, do self-care together and to be inspired to do the work that is required to heal. To do the work required in community with other women who get what it takes to heal from chronic illness and trauma. In a women’s circle we can feel held and heard, we can heal trauma, we can recognise how our stories overlap with each other, and we are not alone on our path. We’re all connected, when one woman has an insight or shift, the benefits ripple out. Women can support each other, to reclaim our power, our love, be our true selves, live our potential, to reclaim our health and wellness. The deeper vision of The Women’s Wellness Circle is for a world of fully resourced and vibrant women ready to give their gifts to the world, we believe the world needs empowered women to help create the shift we need for our survival as a human species and for the planet. We welcome you to join the community for more support, you can find out more at our website. When women are stressed they release oxytocin to support coming together, we innately know it’s what’s we need to do, to protect each other and any young ones. Being held in community supports us to feel safe in ourselves, to live from love and trust, which is one of the keys that will help us to heal. Being held will help us to feel safe to bring healing to early imprints of trauma. Even illness becomes wellness when I becomes we! Find your tribe! May the right community support you in becoming the most well and vibrant version of yourself, able to offer your gifts to the world and live your dreams in life. May the world be full of vibrant people who have done the deeper soul and psyche work, and are able to offer their gifts to the world. If that is you already, feel free to contact us at The Women’s Wellness Circle about sharing your healing journey to inspire other women!